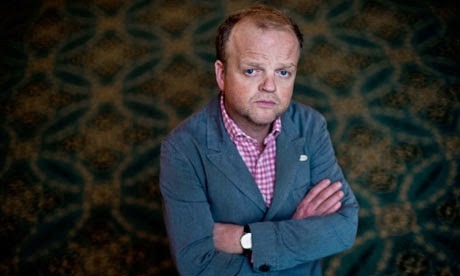 BBC Two have today announced that their latest one-off drama, Marvellous, will star Golden Globe and BAFTA nominee Toby Jones. Jones will star as Neil Baldwin, a man with 'learning difficulties' who went on to play for Stoke City and become a lay preacher. More recently Baldwin was awarded an Honorary Degree by Keele University for the contributions he'd made to Campus Life. Marvellous' writer Peter Bowker got his inspiration for the drama after reading a piece in The Guardian about Neil. Bowker, whose credits include 'Eric and Ernie' and 'Monroe', says of the 90 minute drama, "I have long been interested in how we use labels to limit the people we are describing - even, at worse, to dehumanise them. But Neil - despite being labelled and to some extent written off as a young man - struck me as a man who defied those who wished to define him. Marvellous is directed by Julian Farino, who previously collaborated with Bowker on the BBC Two drama Flesh and blood. The drama is Farino's first drama since returning from America where he worked as the lead director on award-winning sitcom Entourage. Marvellous is expected to air later this year.